If you have not yet heard, we, Bob Lang, Chuck Bender and I, have opened the doors on our new site. At this time there is a sample presentation, downloadable PDF, online course and full-length video of the project that is free to read and watch. In the coming weeks, we will be adding content almost every day. The new content will be free podcasts, presentations, plans and more. From today forward, my blog will be posted at the new site. Sometime around December 15th, we will post our first full presentation, which is also free to everyone. 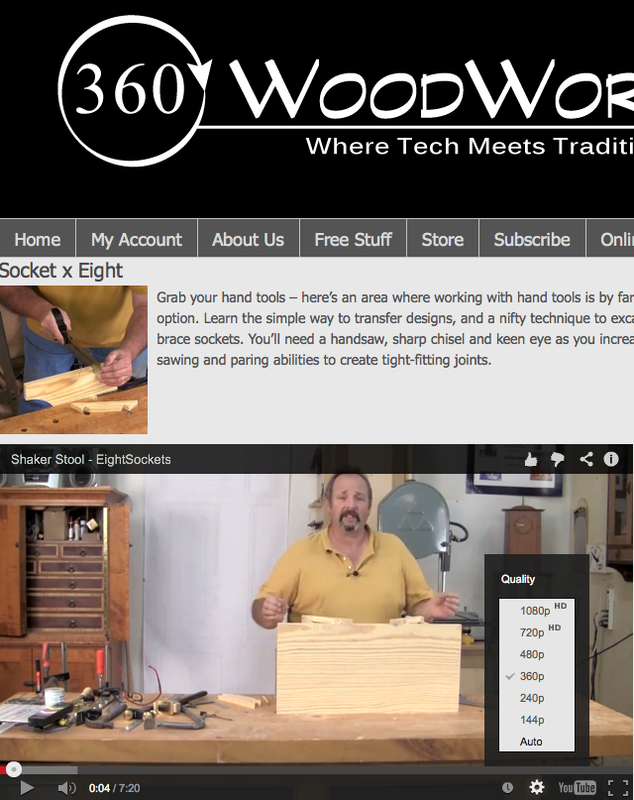 Please bookmark 360Woodworking.com, and check back often. we hope that you’ll find the information worthwhile and choose to subscribe, if you haven’t done so already. Thank you, and Build Something Great! I’ve often wrote and always say that woodworkers are visual. I, and I’m betting that you do too, learn much more watching a short video clip than reading paragraphs of text. 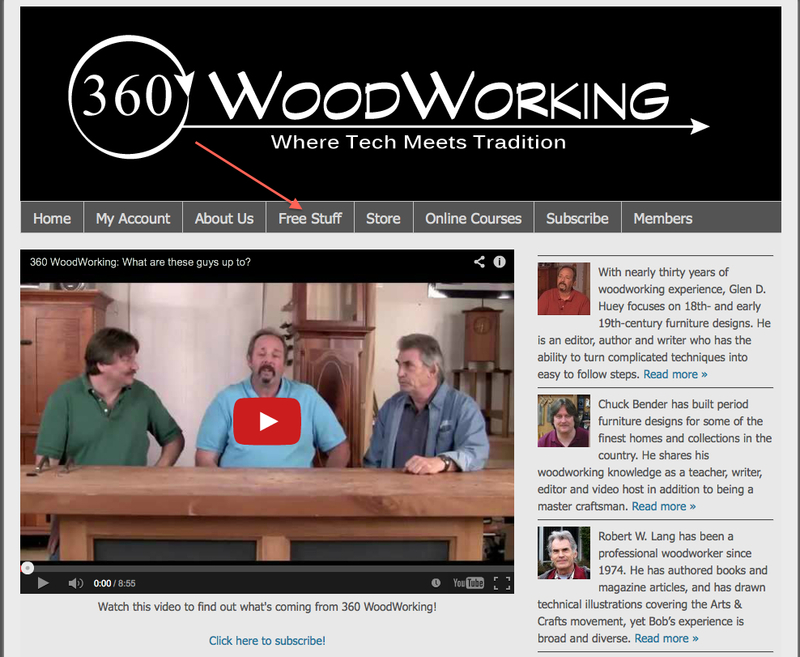 That’s the reason why, by the way, that 360WoodWorking.com, which is very, very, very close to opening its doors (and I promise that is the only time you’ll see me use very in a sentence that many times) is stocking up on video content. If you didn’t already know that you could adjust the player quality, it’s quite simple. 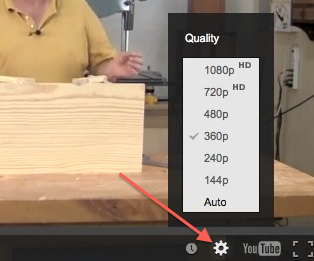 360WoodWorking is loading most of its new video at 1080p, but the players, when I open and hit play, show the clips at 360p. It’s amazing how much better video looks shown at the higher resolution, so I’m making the change whenever I can. To adjust the quality, click the cog-like symbol in the lower right-hand corner to open up the choices – Real tech sounding, huh? – then select the quality you’d like to watch and sit back while the player makes the changes. As I said, it’s easy.